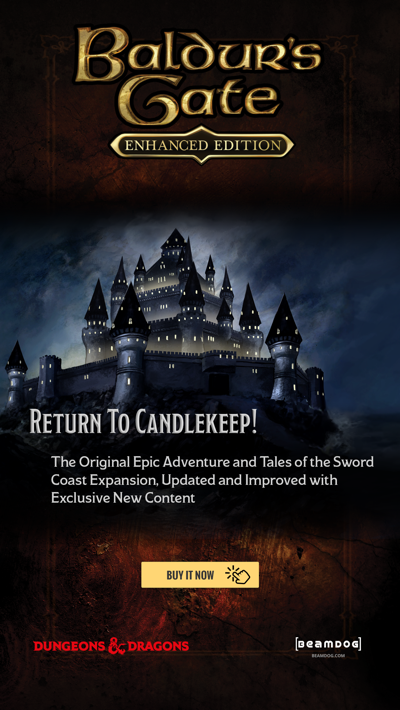 You can visit www.siegeofdragonspear.com now to find all the details on the new expansion. Last night we had an amazing announce party at the Art Gallery of Alberta. We gathered in the theater and watched the timer count down to zero. The sound of all our guests counting down from ten was awesome! Then the trailer for Siege of Dragonspear played. Minsc's voice called out in the dark theater: "My friend! It has been too long since Boo and I have seen you!" What an incredible experience. Trent Oster, our president, talked about Beamdog and how we reached this stage of designing, developing, and distributing our own games. Phil Daigle then talked about Siege of Dragonspear and all its amazing new features, which were later demoed on twitch. If you missed the live stream, you can watch the video and trailer here. Thank you to all our guests who turned up to help us celebrate, and to all the fans who watched us live. 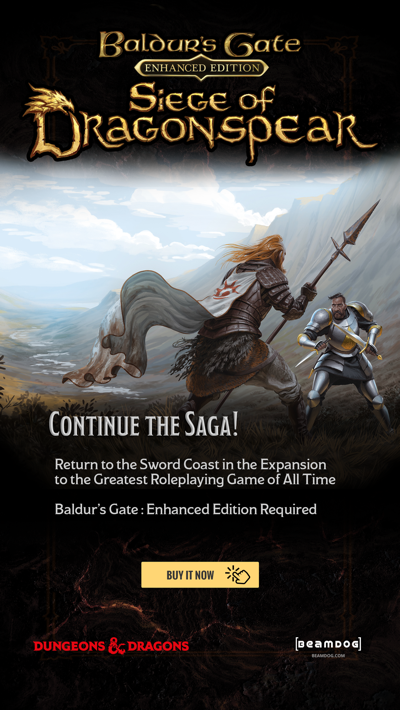 We'll have more content about Siege of Dragonspear on the Beamblog in the following weeks!